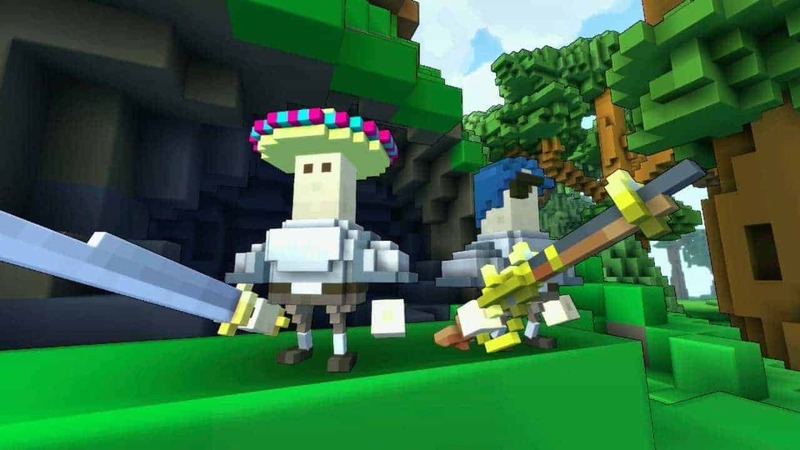 Exploring the near limitless world of Trove can be an exhausting task but if your feet have grown tired and your sword arm weary, what better way kick back and relax than having your own little personal corner of Trove with the new Cornerstones update? The team at Trion Worlds today published a new developer blog post highlighting the many exciting elements of the Cornerstones update, introducing the first truly customizable environment areas of Trove. Your own personal Cornerstone awaits as a 16×16 home base that can be placed on any unclaimed pot of land shown via yellow signposts surrounded by dark patches of land. Once you’ve selected your Cornerstone plot you’ll be treated to a cozy starter home kit including all the basics needed to have a safe corner of Trove to relax. Initially players will be treated to a Class Changer device, Rejuvenation Station and Adventurer’s Crafting Bench, allowing players to switch classes, refill flasks and construct powerful tools. If you grow tired of your chosen location you’re free to move your Cornerstone at any time with the E key. Simply move your blocky abode to a new area and claim a new Cornerstone before placing your block-like construction in its new home. The Cornerstones also act as a new spawn point should you find yourself at the wrong end of a bloody battle.